Getting the most from yourself and your teams can be really hard, without a clear idea of where you are now and where you want to be in the future. That's where my leadership coaching toolkit comes in. Understanding what motivates you and your teams to achieve success is central to excellent leadership. Big problems arise when you ignore the deep and powerful motivating needs and drives of individual employees. In fact, no amount of perks or pay rises can keep your people from becoming disengaged and exiting your business, if you’re not fully in tune with what they need from their job, their environment and their manager, to feel satisfied. When you DO get it right, though, your people deliver outstanding results! The Predictive Index is a powerful talent assessment system, designed to help managers and leaders hire the best people, develop them into top-performers, and retain their knowledge and skills with the right kind of management. Predicting the performance of a prospective manager or senior leader during a traditional interview selection process, is never easy. There’s never any guarantee that a rock-solid track record in another company will lead to success in your business…you need more reliable metrics than that. The PI Learning Indicator™ is a cognitive assessment tool which measures the learning ability and cognitive ability of any prospective manager, leader or employee, and is available in over 60 languages online. Using the data-driven results of this assessment, you can quickly discover how fast a prospective employee will be able to “pick up the ropes” in her new job, or how much you’ll have to invest into training and development to get your new recruit up-to-speed. Understanding cognitive ability is essential to hiring smart. 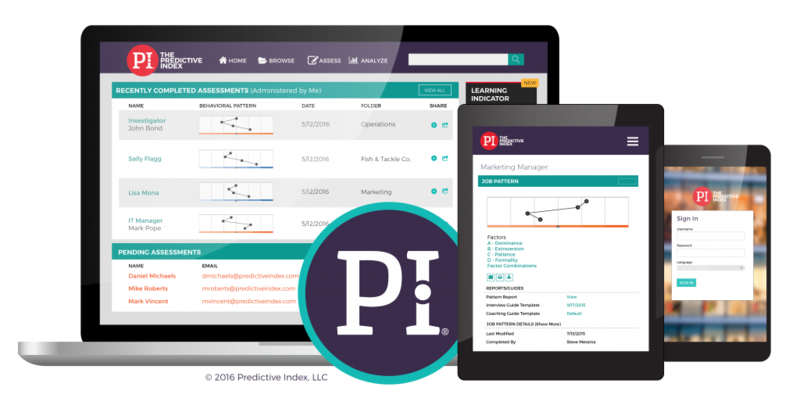 The PI Learning Indicator also shows you how easily a potential manager will be able to hit the ground running, and whether or not your new Team Leader has the ability to adapt and learn new procedures quick enough for your expectations. In short, this tool predicts performance during a selection process FAR more accurately than just using an interview and your own subjective judgement. 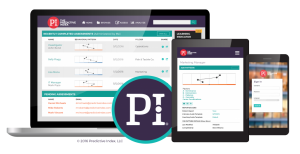 The PI Learning Indicator helps you: Hire faster, with less ambiguity and more certainty Predict the performance of a candidate more accurately Select only the very best managers to grow your business. Available online and accessible 24/7, you can send and compare assessment results with your management team quickly and easily, making hiring top-performers for your business a piece of cake! Do you have a sales team that’s not hitting their targets? Are your sales representatives finding it hard to hit KPIs and close sales confidently? Do you actually know what makes your top sales people so successful? What you need is a system to diagnose the causes of bad sales performance, and a simple process to help your sales people improve in the ways they need, as individual sales people. 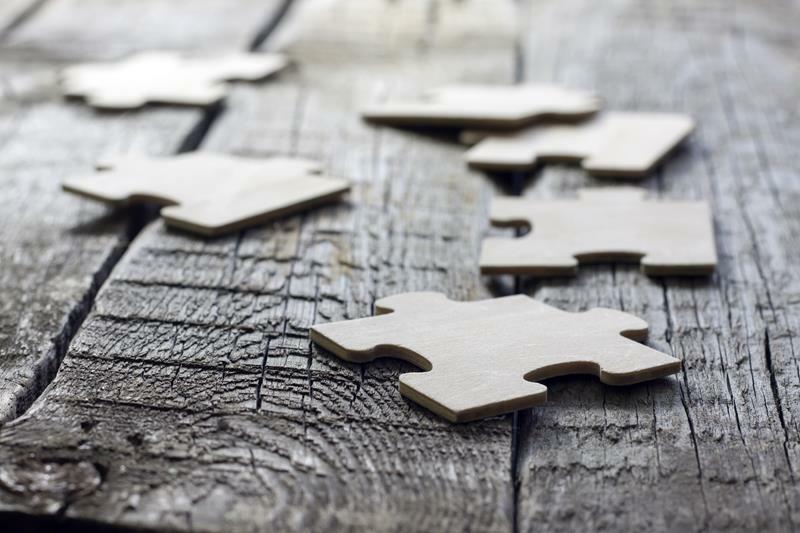 Traditional “one-size-fits-all” sales training just doesn’t hit the mark anymore. You need individual personality data for individual improvement. The Selling Skills Assessment Tool™ is an online sales team assessment that provides you with simple data about the most critical areas for improvement within your individual sales people. Once your sales team have completed the SSAT online, you can use the results to find out why some of your people sell more than others, and where you need to invest your sales budget for the greatest results. To give your team a perfect way to improve on every aspect of SSAT, we’ve also created the Customer-Focused Selling™ Workshop, which is an interactive consultative selling seminar that turns your mediocre sales people into persuasive influencers who can sell to ANY kind of client! You know that influence is one of the most essential competencies for success in a 21st century organisation. The ability to gain buy-in from colleagues and clients is vital for successful project management and being able to sell your ideas and strategies is what drives your career and your business forward. Sadly, many managers and senior professionals lack the influencing skills and understanding of deep human motivations, to become successful persuaders. They use authority and force to push through their agenda, and bad management “tactics” to push employees to reach targets… unsuccessfully. Once you’ve taken the ISAT, you’ll get a clear and simple ‘roadmap’ of your strengths and weaknesses, and you’ll know exactly where your influencing “blind spots” are, and how you can improve fast. We’ve even created a 1-day workshop to “fill the gaps” of your ISAT results and help you gain the level of influence you need to become more successful. Influencing For Results™ Workshop is available to you and your team as an in-house seminar, and includes free ISAT assessments of your entire team. Y ou may already know that research confirms that managers learn 70% through “on the job experience”, 20% through social learning, and 10% through formal training or workshops. What’s more interesting though, is that we forget 50% of the material we learn within 1 hour, unless we put it into practice, quickly. It’s also been proven that we only learn from our experiences when we are given the opportunity to reflect on them. As a manager, senior leader, or business owner, you know that strong working relationships and higher levels of trust will help you to become a better people manager. Building better relationships within your organization leads to better decision making, improved processes, and increased engagement and commitment from your workforce. So, ideally you’d have regular opportunities to reflect on your professional experiences, and evaluate your decisions and actions with your peers, to embed what you’re learned along the way. Coaching Ourselves is a system which helps you and your management team to reflect on your workplace experiences, via pre-designed discussion modules. These modules give you a framework for delivering 90-minute workshops, as a platform for analysing and evaluating these experiences to create more meaningful and impactful learning. Coaching Ourselves is the 20 per cent of the 70:20:10 model and provides a critical piece of the 70%, too. This collaborative learning approach offers you and your colleagues a HUGE library of 75 discussion modules, written by a world renowned management and business thinkers. By solidifying the things you’ve learned with our self-reflective group approach, you’ll be able to directly apply your professional learning and shared experiences on the shop floor. Each module guides you and your team of managers (4-6) within a self-directed (or facilitated) learning session. By giving you the ready-made materials, you can learn from each other experiences , build trust, and plan strategies to get her to make change happen, without having to invest time into preparing workshops, seminars or learning days yourself. Each module has been crafted by world renowned management or leadership experts such as Marshall Goldsmith, Henry Mintzberg, Edgar Schein and John Seely Brown. These modules are available to you as ready-made building blocks of 90-minute collaborative learning sessions, which are quick and simple to set-up, and enjoyable to deliver. If you’re asking yourself what the real benefit of coaching ourselves could be for you, then let me make it clear. The Coaching Ourselves Modules are much, much more profound and impactful then online learning, Training videos, case studies, or badly-planned interventions. What Coaching Ourselves really offers you and your managers, is an interactive discussion platform to learn from your experiences, share knowledge, build trust and create powerful strategies to achieve success for you and your organisation. Want To Try My Coaching Tools For Yourself?